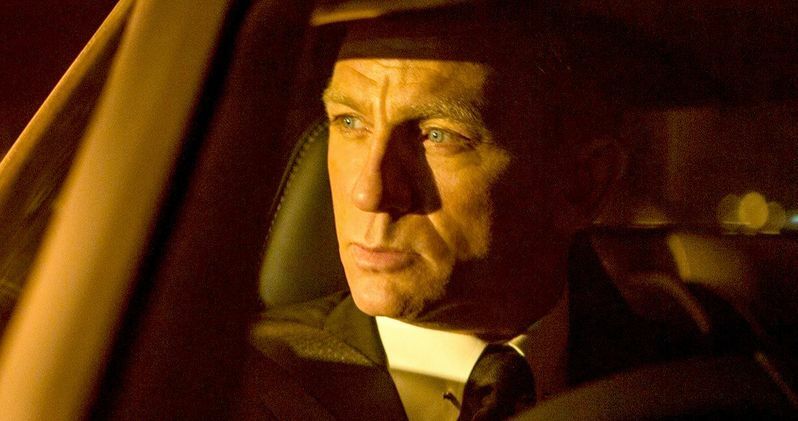 After slipping into a horrendous slump during the last two weeks of October, the box office finally rebounded in a huge way with the release of Spectre ($73 million) and The Peanuts Movie ($45 million) last weekend. As we head into the second frame of November, both movies should have no trouble retaining the top two spots this weekend, going up against three new wide releases. Opening on November 13 is Warner Bros.' The 33, CBS Films' Love the Coopers and Clarius Entertainment's My All American, along with Brad Pitt and Angelina Jolie's By the Sea opening in limited release, none of which will provide any serious competition. While Spectre will likely suffer a significant drop, it should retain the top spot with a predicted $42.4 million, with The Peanuts Movie staying put in second place with $28.9 million. Both Spectre and The Peanuts Movie have been faring well with critics, with Spectre earning a 63% "Fresh" rating on Rotten Tomatoes, and The Peanuts Movie pulling in an 86% "Fresh" rating. While The Peanuts Movie did come in a distant second place last weekend, it does have the potential for a lengthier run overall at the box office, since family movies typically have a longer shelf life in theaters than your typical action-packed blockbuster. It still remains to be seen if The Peanuts Movie will be able to out-gross Spectre in the long run, but it should post smaller decreases than Spectre from week to week. According to the projections at Pro.BoxOffice.com, Love the Coopers is expected to take in $8 million this weekend, which should be good for third place at the box office. The comedy features an all-star ensemble cast including Olivia Wilde, Amanda Seyfried, Marisa Tomei, Ed Helms, Diane Keaton, John Goodman, Anthony Mackie, Alan Arkin, Jake Lacy and Alex Borstein. The story centers on four generations of the Cooper clan, who come together for their annual Christmas Eve celebration. A series of unexpected visitors and unlikely events turn the night upside down, leading them all toward a surprising rediscovery of family bonds and the spirit of the holiday. The 33 is expected to take fourth place with an estimated $7 million in its opening frame. This drama starring Antonio Banderas is based on the remarkable true story that captivated the world just five years ago. In 2010, the eyes of the world turned to Chile, where 33 miners had been buried alive by the catastrophic explosion and collapse of a 100-year-old gold and copper mine. Over the next 69 days, an international team worked night and day in a desperate attempt to rescue the trapped men as their families and friends, as well as millions of people globally, waited and watched anxiously for any sign of hope. But 200 stories beneath the surface, in the suffocating heat and with tensions rising, provisions-and time-were quickly running out. A story of resilience, personal transformation and triumph of the human spirit, the film takes us to the Earth's darkest depths, revealing the psyches of the men trapped in the mine, and depicting the courage of both the miners and their families who refused to give up. Based on the gripping true story of survival-and filmed with the cooperation of the miners, their families and their rescuers- The 33 reveals the never-before-seen actual events that unfolded, above and below ground, which became nothing less than a worldwide phenomenon. The Martian is expected to drop to fifth place with $6.2 million, with the sci-fi drama expected to cross the $200 million domestic mark sometime this week. Rounding out the top 10 are Goosebumps ($4.1 million), Bridge of Spies ($3.1 million), Hotel Transylvania 2 ($2.2 million), Burnt ($1.8 million) and this weekend's third new release, My All American ($1.4 million). None of these newcomers are opening super-wide, with Love the Coopers expected to arrive in approximately 2,500 theaters, with The 33 expected to open in 2,400 theaters and My All American debuting in 1,500 theaters. None of these movies are expected to make a splash critically either, with The 33 currently sitting at a 43% rating on Rotten Tomatoes, although there aren't enough reviews yet for Love the Coopers and My All American to determine a TomatoMeter score. Opening in limited release this weekend is Universal's By the Sea, starring Brad Pitt and Angelina Jolie, who also wrote and directed the film, Lionsgate Premiere's Heist starring Robert De Niro, Dave Bautista and Gina Carano, Amplify's documentary Hot Sugar's Cold World and The Film Arcade's James White. It isn't known if Universal is planning a nationwide expansion for By the Sea, but it wouldn't be surprising, given its iconic stars. By the Sea marks the first time Brad Pitt and Angelina Jolie have been seen on the big screen together in a decade, following the 2005 action-thriller Mr. and Mrs. Smith. Looking ahead to next weekend, Spectre's brief run atop the box office will surely come to an end with the release of Lionsgate's The Hunger Games: Mockingjay Part 2, along with Sony's The Night Before starring Seth Rogen, Joseph Gordon-Levitt and Anthony Mackie, and STX Entertainment's thriller Secret in Their Eyes, starring Julia Roberts. Since The Hunger Games: Mockingjay Part 2 brings the lucrative Hunger Games franchise to an end, it's possible it could break some records at the box office, but we'll have to wait and see. Also opening in limited release is Carol, starring Cate Blanchett and Rooney Mara, Legend starring Tom Hardy, which expands nationwide on December 11, and #Horror starring Chloë Sevigny and Timothy Hutton. Check back on Sunday for the box office estimates, and take a look at our projections for the top 10 below.